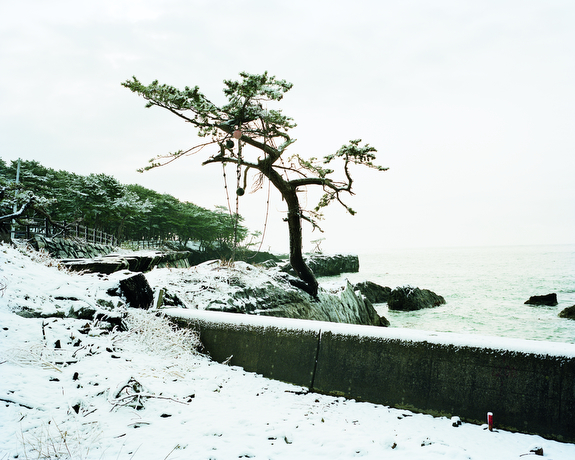 Schink, a German landscape photographer, returned in 2012 to the scene of a tsunami that devastated Japan a year before. 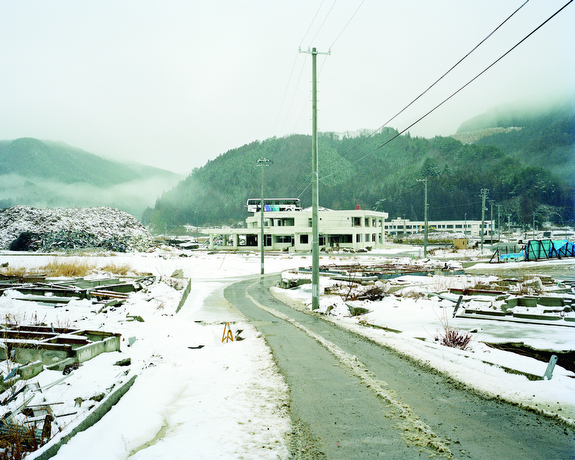 He photographed the Tōhoku region, where the worst damage occurred. The opening images of his book are filled with snow, where nature has blanketed scenes of disaster. These pictures are dreamlike: surfers stretch on a snow-covered beach, preparing to enter icy waters already filled with over a dozen surfers. Schink favors a milky-white sky, which blends together with the ground in the snow scenes. This creates a sense of dislocation that perfectly suits his subject. Many of the pictures are mysteries. We truly don’t know what we’re looking at. Others document houses tossed off their foundations, rows of empty lots — surely once occupied — and vacant fields. There is a bus on top of a two-story building, calmly upright as if parked there. 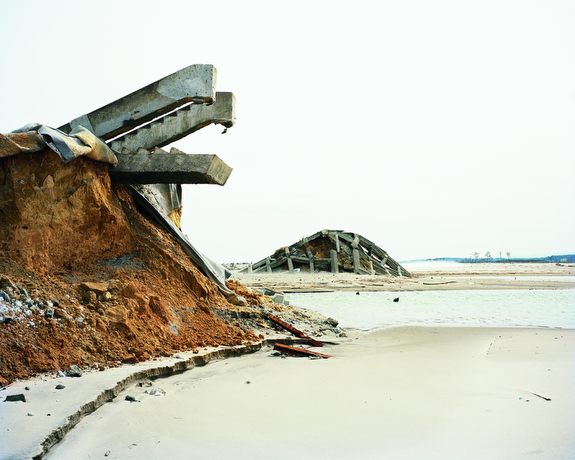 Schink’s images beg for enlargement, as the smallest details are often key to their understanding. They are presented at 8×10″ in the book, but would be best at 4 by 5 feet, at least, as Schink often stands a great distance from his subjects. The book was published by Hatje Cantz.